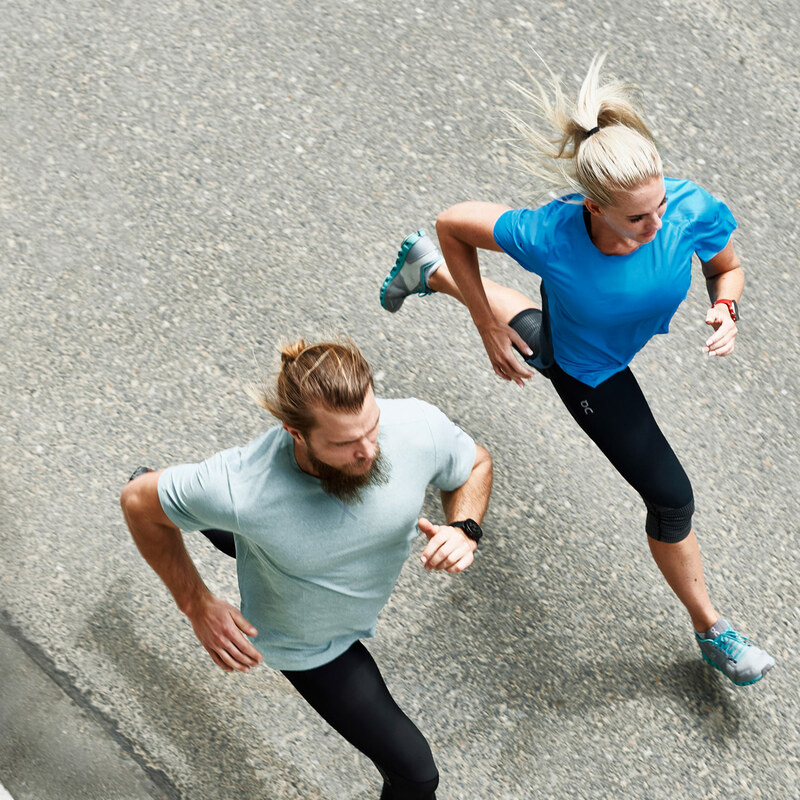 Train for an event or just pick a date when you want to run a certain distance. 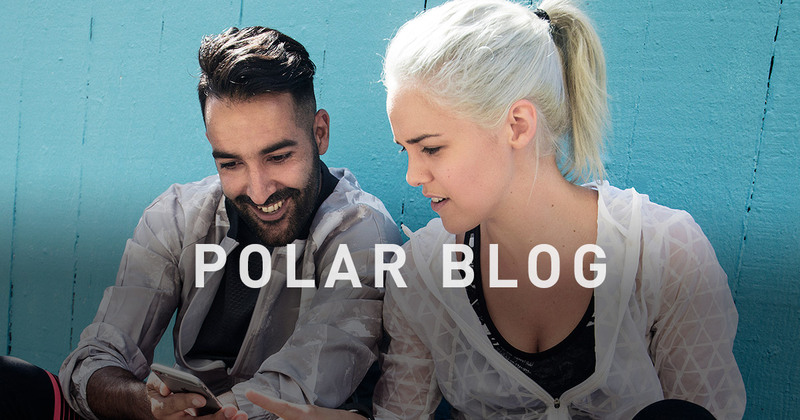 We've done the thinking for you so that you can just concentrate on finding your running flow. 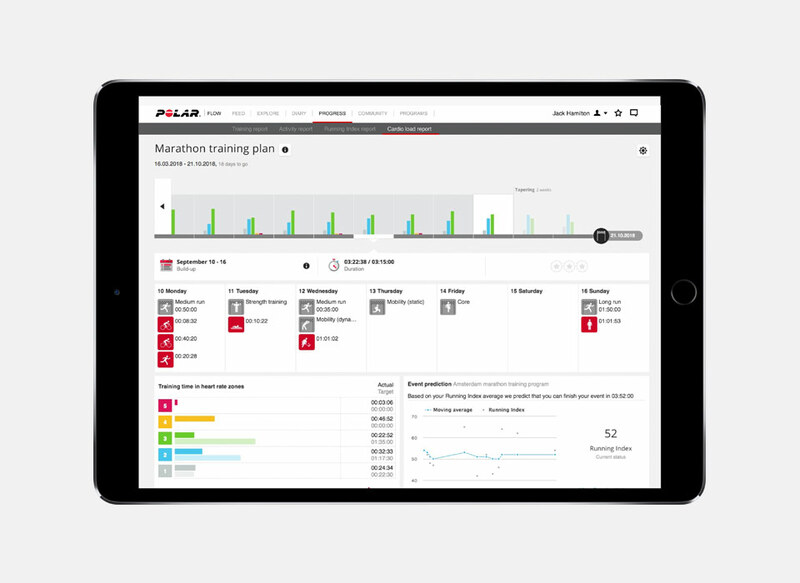 Running Programme is a personal and adaptive training plan that is based on your individual metrics. 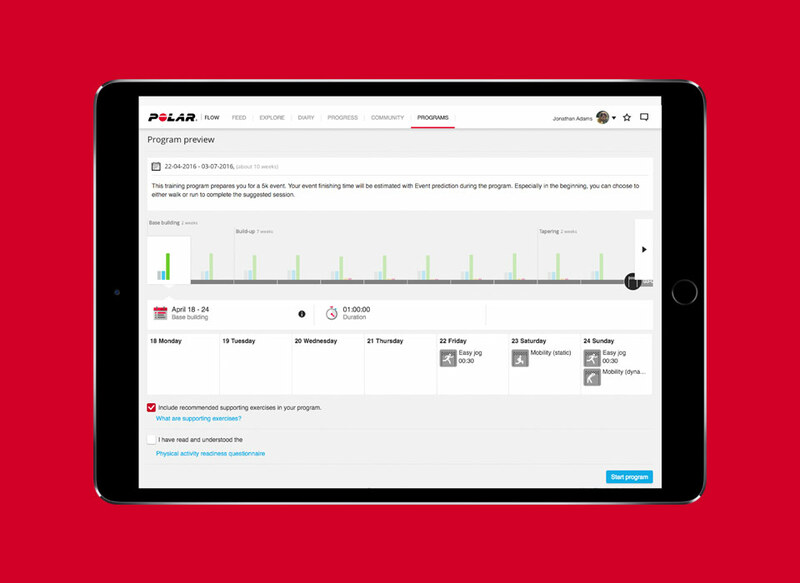 It adapts your training plan along the way, as it learns about you from your workout data. Train for 5k, 10k, half marathon or marathon. Running Programme is based on your fitness level, so it’s personalised and considers your current condition. As you proceed with the programme, it adapts based on your development and lets you know when you can step it up a notch, as well as when you may need to cut it back a little. The programme is complemented with strength, core and mobility exercises, as well as a prediction for your expected finishing time for your chosen distance. You can choose to include supporting exercises to your programme. They are in video format and you can do them at home. 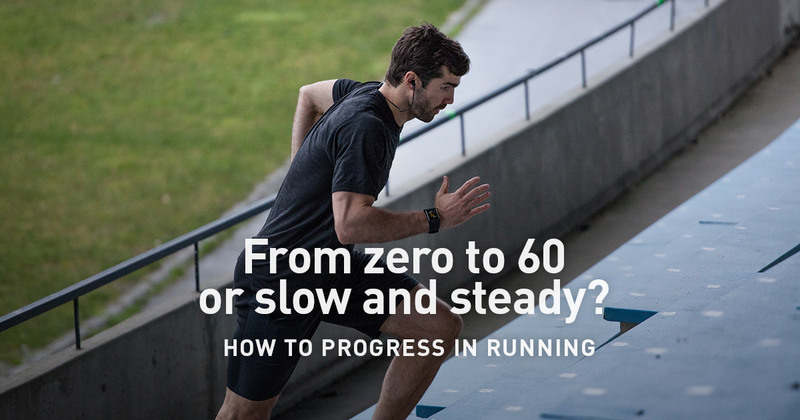 Better strength, core control and mobility can make a big difference in your running. Prediction is based on Running Index which you get from each running session. Prediction is updated as you do more running sessions. 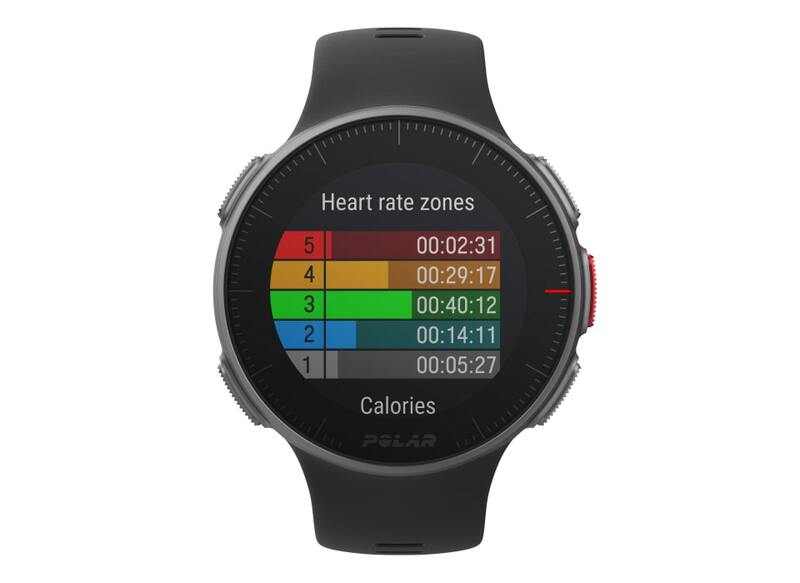 Running Programme is based on training in the right heart rate zones and the science behind the Polar heart rate zones is the cornerstone of the programme. 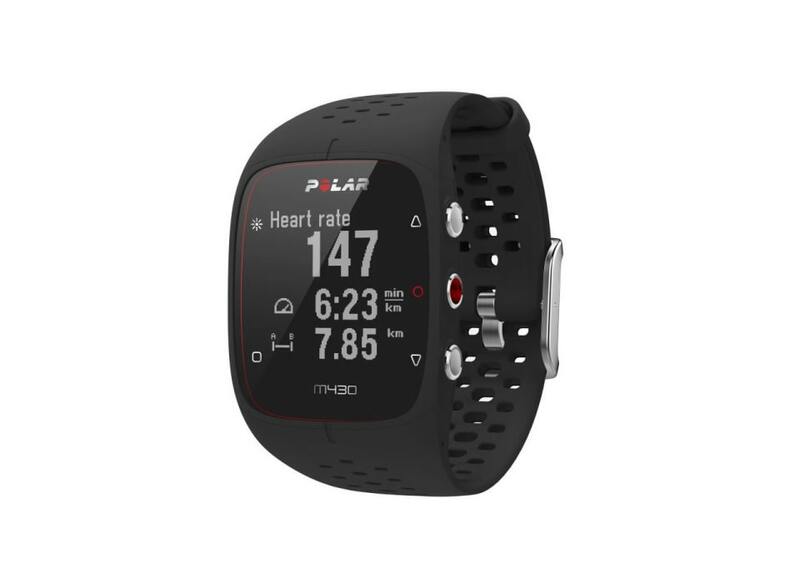 Heart rate is unique and personal and therefore a reliable way to determine exercise intensity and a valid and widely acknowledged tool to measure physical condition and development. 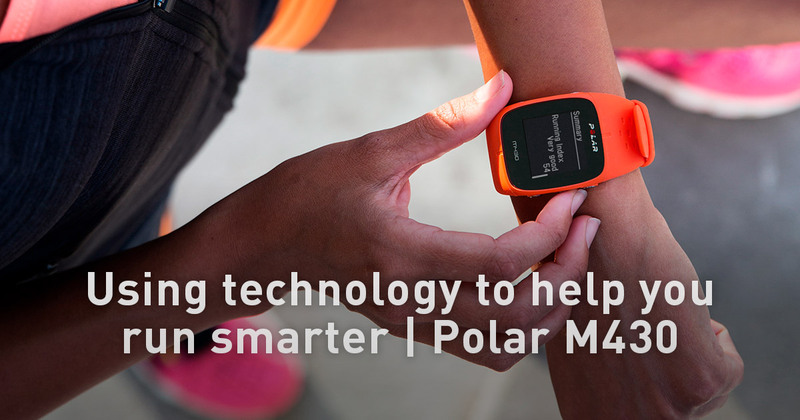 When you create the programme, you’ll receive training targets conveniently on your Polar sport watch. Just choose the day’s target and let your watch guide you.